This entry was posted in Biography, Travel and tagged Greenland, Tete-Michel Kpomassie, Travel, Travel the World in Books. Bookmark the permalink. I’m going to have to order this, my library doesn’t have it. I am excited to get to it! 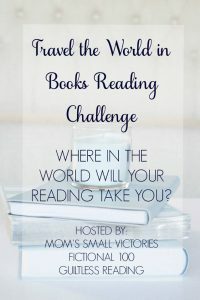 Thanks for hosting what will be a very unique pick for our Travel the World in Books Reading Challenge!